It was very cumbersome to use and required many screens and mouse clicks to find basic information. When they’d finally had enough of E2 and decided to replace it, TJ remembered a paperless system he had used at a previous shop he worked with that was far more modern and powerful. They called up the team at Adion Systems and signed up for ProShop Cloud ERP. Their company is fortunate to have fast and very reliable fiber internet, so they decided to use the Cloud SAAS version of ProShop rather than installing it locally. The implementation team at Adion configured their ProShop build according to their preferences, did training with the employees at DMT and went live shortly after that. “There were no up-front costs, no servers to buy. And being web based, we can open ProShop anywhere with no software to load. It’s been so easy!” said TJ. 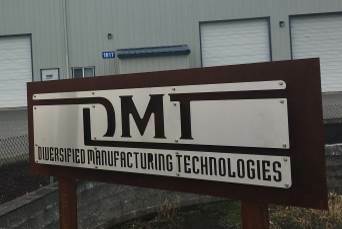 Immediately DMT knew they made the right choice. 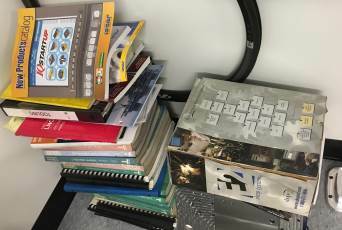 ProShop has complete tool crib management integrated, an intuitive inventory system, being 100% paperless barcoding was no longer an issue, and ProShop’s material traceability system is second to none in the industry. 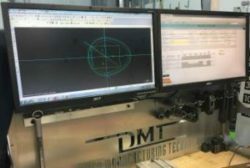 DMT had already set up workstations at every machine so employees could now access digital work instructions and enter in QC data for FAI and in-process inspection.